I hereby apply for membership in the National Token Collectors Association. I agree that if I am elected to membership I will abide by the Constitution and Bylaws of the National Token Collectors Association, and its Code of Ethics. 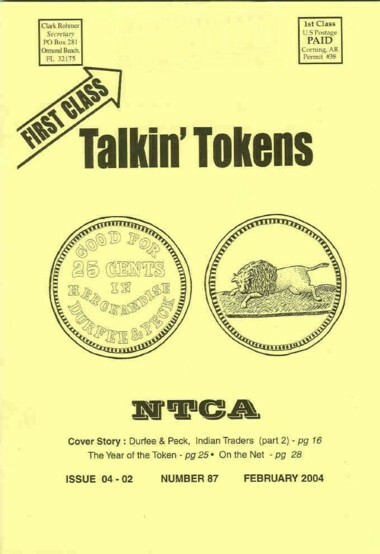 One year membership benefits include 12 issues of Talkin Tokens mailed by first class postage, a free classified ad up to a maximum of 50 words in each issue, and a permanent membership card.